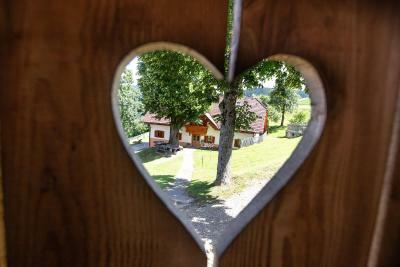 Lock in a great price for Tourist Farm Visočnik – rated 9.8 by recent guests! Such a beautiful, relaxing location; words can not do it justice! So peaceful with a stunning view. My room was spacious and comfortable. I would love to come back! It was my best holiday ever!!! 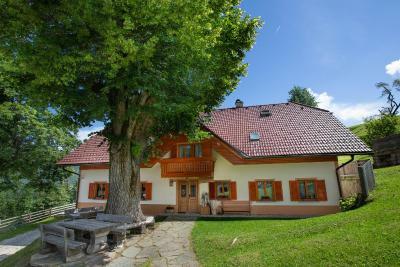 It has a beautifull mountain location and very nice view from the terrase, nice atmosphere, friendly people. The pension and its surrounding is nice and clean. Goats, cows, kittens a horse were especially apreciated by our kids. Breakfast and dinner is a must. The meal was delicious. We stayed for 4 nights and should stay longer. 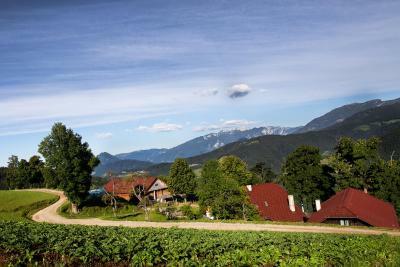 I would like to thank farm Visočnik for very pleasant stay. Excellent home cooking, pleasant, clean and friendly environment. 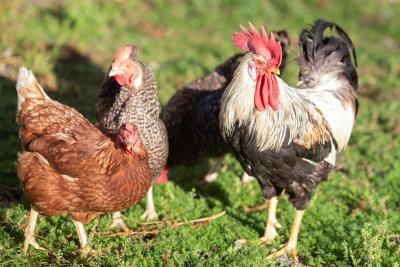 Our family spent a very pleasant week on Visocnik’s farm and it highly exceed our expectations. 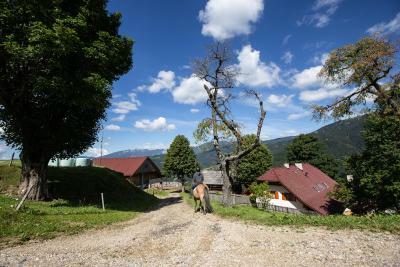 The location is amazing providing a great mountain view and the farm serves as a good base camp for exploration of neighborhood. 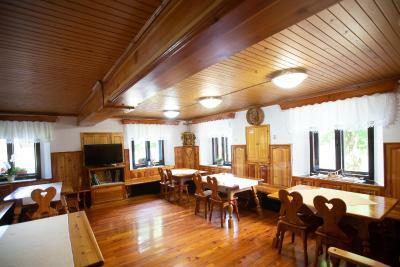 Visocnik family has a long history archived in the attached family museum that you can visit as well. 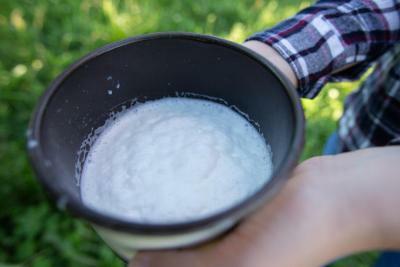 The last but not least I want to highlight is that farm produces a home made products from cows and goats milk and meat. 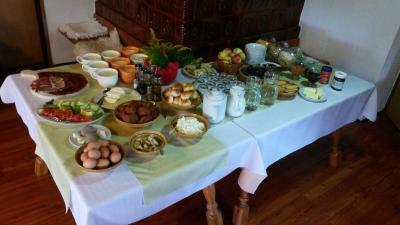 We opt for the breakfast which was just amazing start of the day. 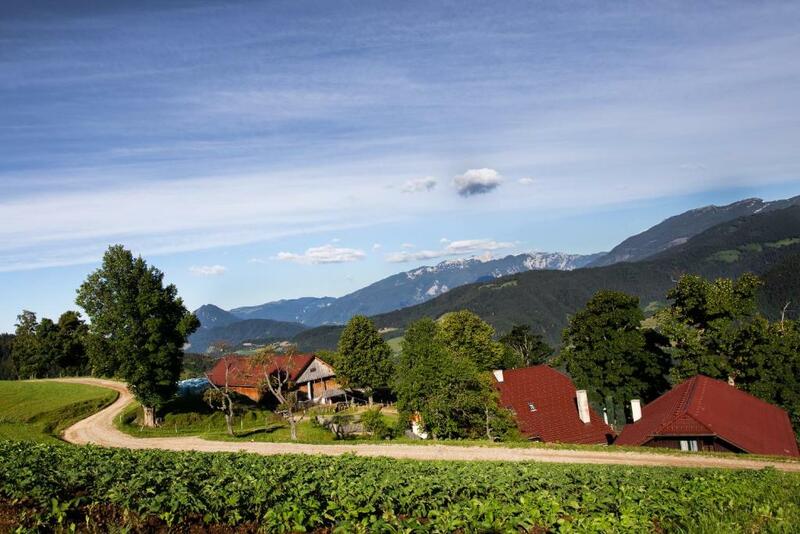 If you’re in Northern Slovenia, spend a couple of nights at this tourist farm. Amazing views, wonderfully friendly. Don’t say no to the offer of dinner and breakfast. 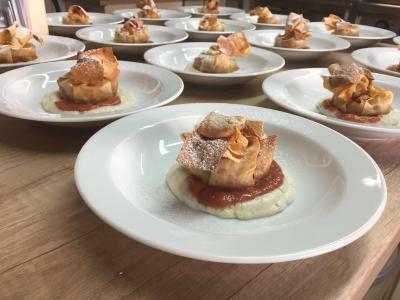 Most of the delicious local food was raised or grown on the farm and was all delicious. 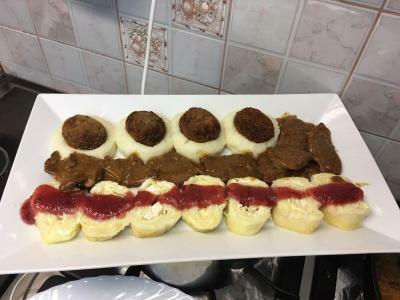 מקום הלינה הטוב ביותר שהיינו בו במהלך הטיול הנוכחי ובכל הטיולים שערכנו בעבר. המקום קסום, נוף פראי להרים, דשא, מקומות ישיבה בחצר. בחצר מסתובבים עיזים, פרות, תרנגולים וסוס. החווה בבעלות המשפחה מהמאה ב14. ברברה המארחת ומשפחתה, עשו הכל בכדי שיהיה לאורחים חוויה. 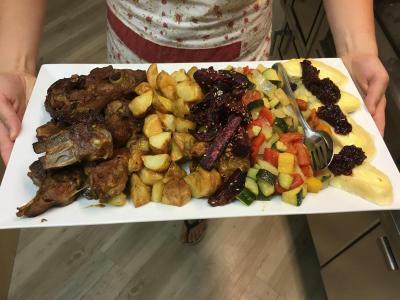 ערכה לנו סיור ב'בית האוצר' של המשפחה, המליצה על טיולים וסיורים, הייתה זמינה לכל בקשה. 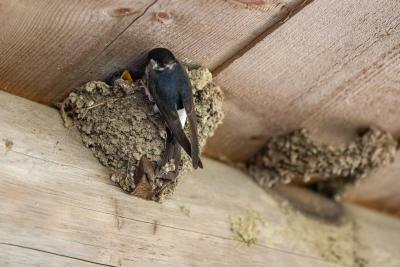 ארוחת בוקר עשירה עם מיטב התוצרת של החווה והמשפחה. ארוחת ערב עם אוכל טיפוסי לאזור, גם, רוב האוכל מיוצר בחווה. 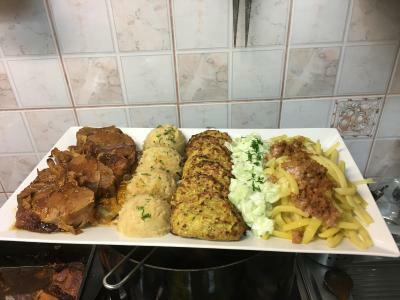 ארוחות הערב היו טעימות ומהנות מכל מסעדה שביקרנו בסלובניה. הזמנו לשלושה לילות, נשארנו ארבעה. 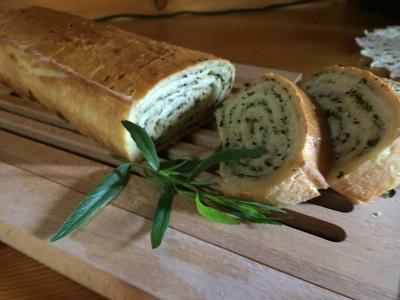 Vynikající kuchyně, nádherná příroda, milá obsluha. 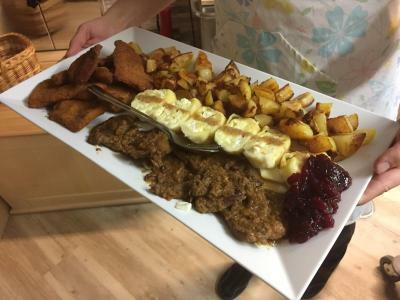 Vhodné pro všechny, kteří si rádi užijí klidnou čistou přírodu. 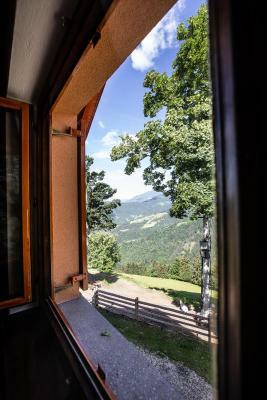 Offering a children's playground and views of the mountains, Tourist Farm Visočnik is located in Ljubno in the Savinjska Region, 30 mi from Ljubljana. The farm stay has a sun terrace and ski storage space, and guests can enjoy a meal at the restaurant or a drink at the bar. Free private parking is available on site. Every room has a TV. Some units have a seating area where you can relax. 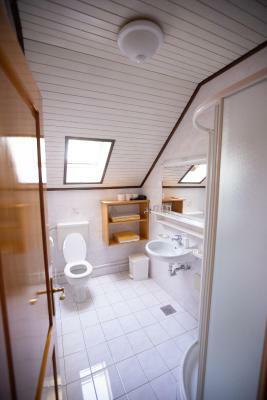 All rooms are equipped with a private bathroom fitted with a bath or shower. For your comfort, you will find slippers, free toiletries and a hair dryer. 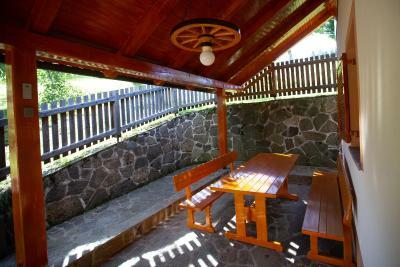 Tourist Farm Visočnik features free WiFi throughout the property. 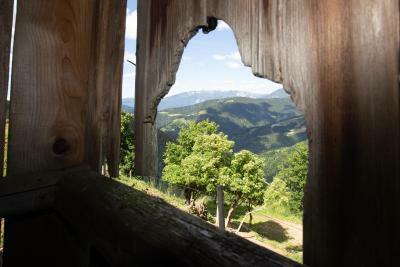 An array of activities are offered in the area, such as skiing, cycling and hiking. The farm stay also offers bike hire. Rimske Toplice is 24 mi from Tourist Farm Visočnik, while Dobrna is 17 mi away. Ljubljana Jože Pučnik Airport is 23 mi from the property. 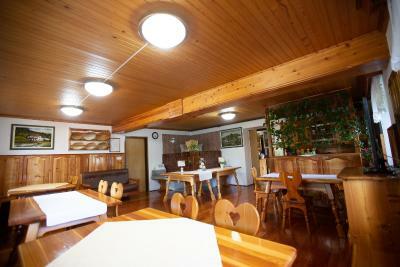 This property also has one of the top-rated locations in Ljubno! Guests are happier about it compared to other properties in the area. 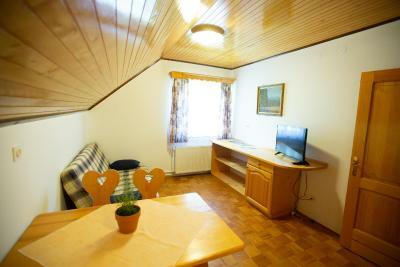 This property is also rated for the best value in Ljubno! Guests are getting more for their money when compared to other properties in this city. 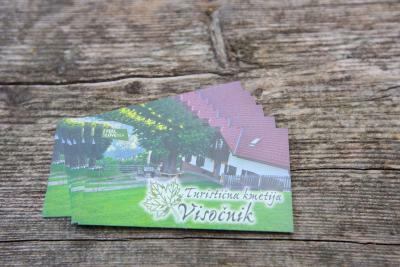 When would you like to stay at Tourist Farm Visočnik? This triple room features a tumble dryer . This apartment has a toaster, sofa and kitchenware. 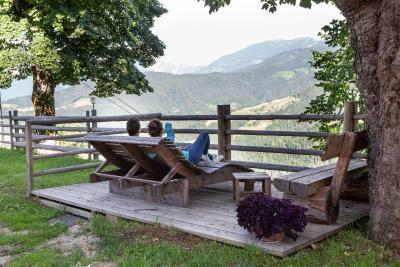 The Visočnik Tourism Farm sits on its own surrounded by meadows and forests and boasts a beautiful view of the surrounding mountain peaks. The well-known Golte recreational and tourist centre is only 5 km away. 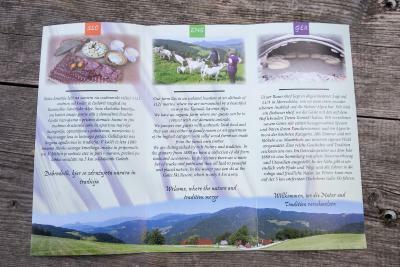 To arrive at The Visočnik Tourism Farm, which lies at the altitude of 1121m, you have to travel 12 km from the town of Ljubno ob Savinji in the direction towards Smrekovec. 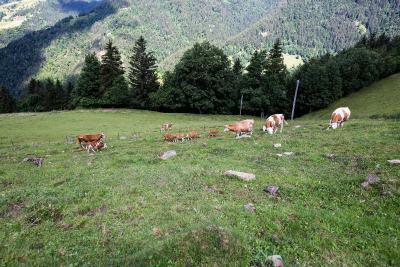 Mountain farm is devoted to organic farming. 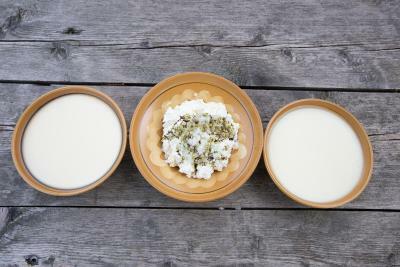 The food on the farm cooking is local, diverse, and revives the tradition of the times when our grandmothers took enough time to prepare food with love. 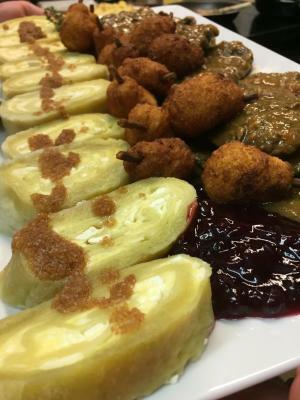 You will especially enjoy the savinjski želodec, all kinds of meat dishes, dairy products, vegetables, žlinkrofi, and homemade desserts. 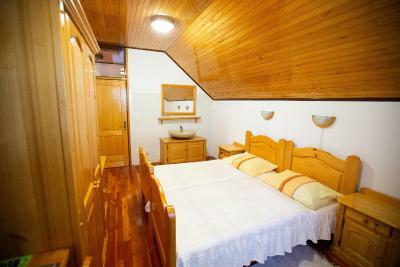 Family rooms and the apartment are equipped with furniture from solid wood, bathroom, TV and free wireless internet. In the ‘kasca’ from year 1880 on the Farm our guests and visitors can see the collection of old tools used by our ancestors. 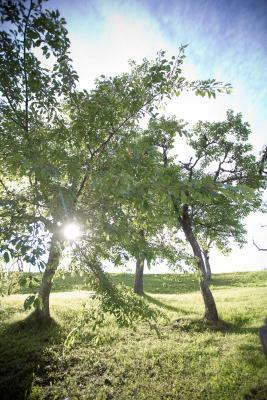 Close to the Farm there is a sycamore maple which was recognized in 1987 as the thickest sycamore maple in Slovenia. 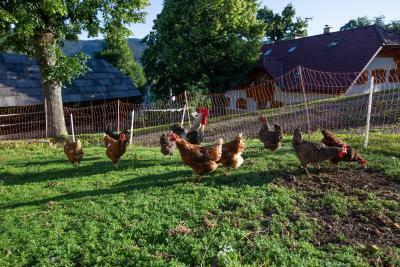 House Rules Tourist Farm Visočnik takes special requests – add in the next step! One child under 12 years is charged EUR 16.80 per night when using existing beds. 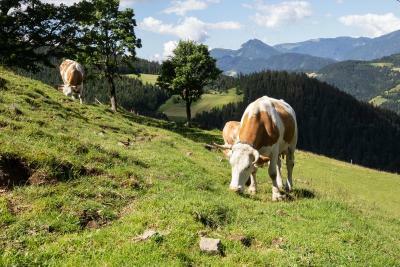 Please inform Tourist Farm Visočnik of your expected arrival time in advance. You can use the Special Requests box when booking, or contact the property directly using the contact details in your confirmation. We really liked everything. It is not easy to find it in the night, so it is better to study the location with wifi in advance. It is located in 1121m so its better to take some warm cloths as well. 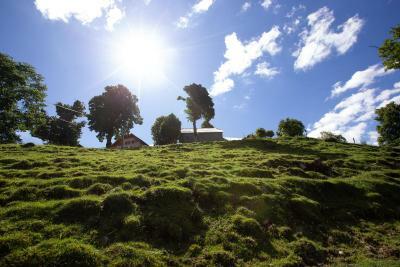 Tourist Farm Visočnik is an amazing place to spend your holiday. 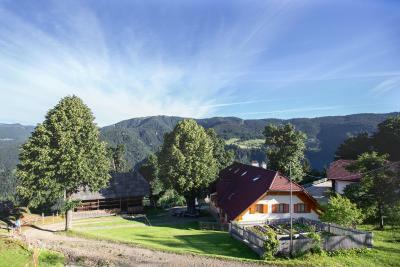 The tranquility of surrounding area, the large view to the mountains, the fresh air makes from this farm an unique location. I traveled a lot, but this choice is definitely in the top of my preference! 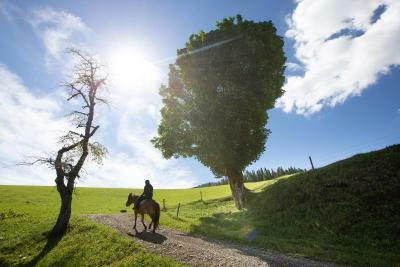 Doesn't matter if you want to walk, to hike or even to do nothing, just staying in the shadow of old trees, looking to the far meadows, you will feel free and full of energy. 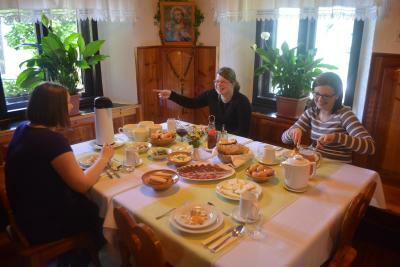 At this feeling a great contribution has family Visočnik: wonderful atmosphere, a gorgeous tasteful food. By the way, about food... I never ate more than in that mountain holiday! Why? 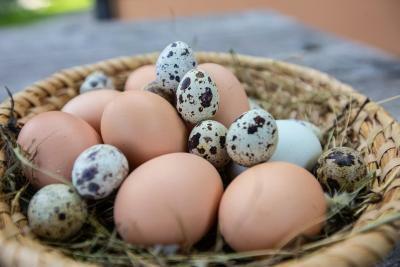 Because everything was fresh, prepared with love and competence and only from natural ingredients! What to talk first? 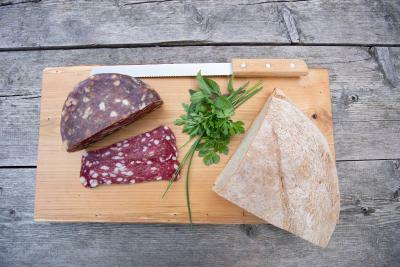 About zucchini soup, about home made salami and cheese, about sour milk, about all that cakes and juices? The words are not enough to describe the delight of taste sense! Anything you want to know about the area, you can find just asking Barbara! A lot of albums and turistic maps complete the informations! I think I'll not continue to describe, otherwise I'll feel a strong impulse to take the car and drive back! 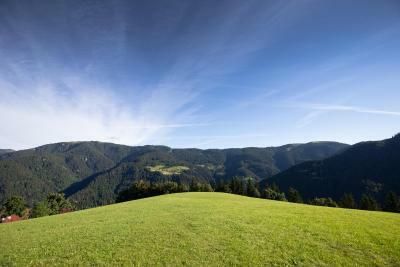 But for sure we'll repet this wonderful experience in Slovenia, a magnificent country and in this perfect place!